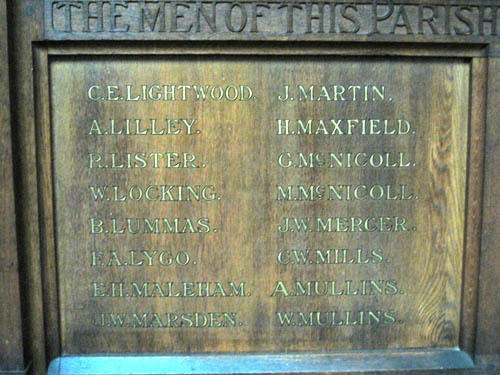 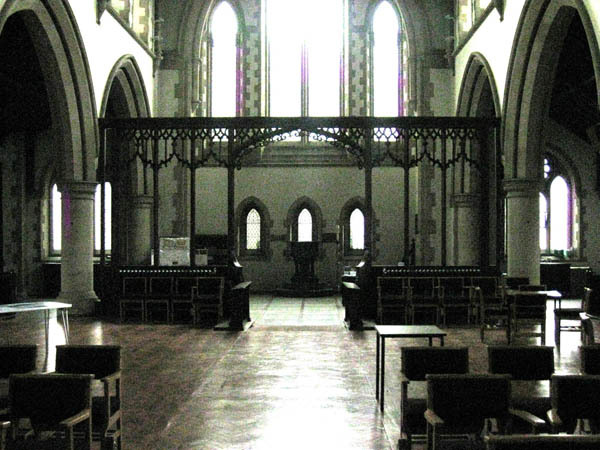 'In Juy 1920 a large carved oak Chancel screen was built across the church as a memorial to 103 parishioners who died in the First World War. 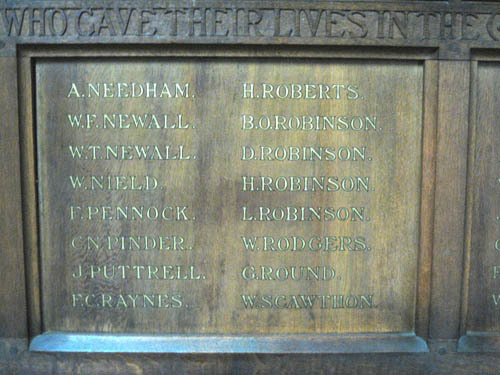 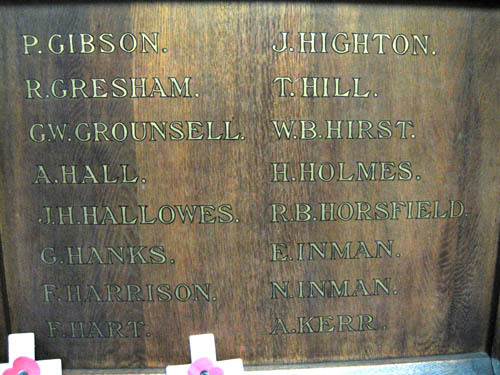 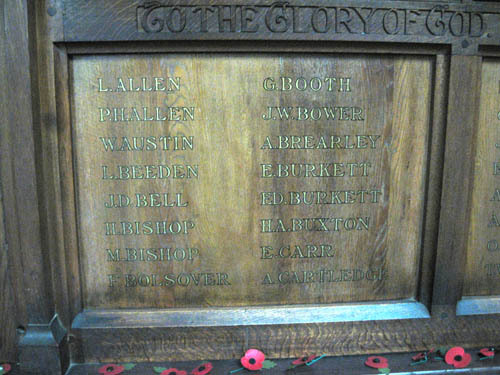 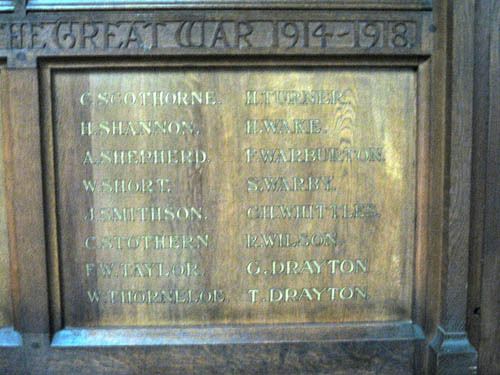 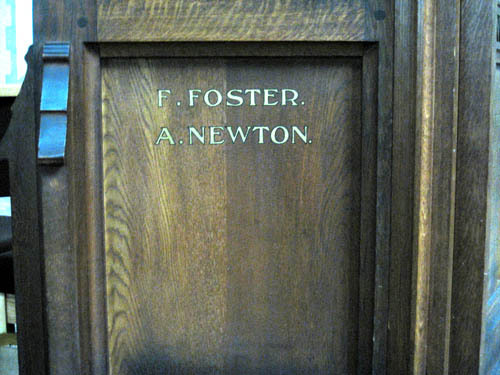 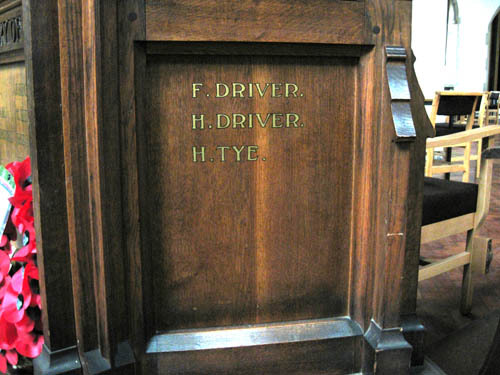 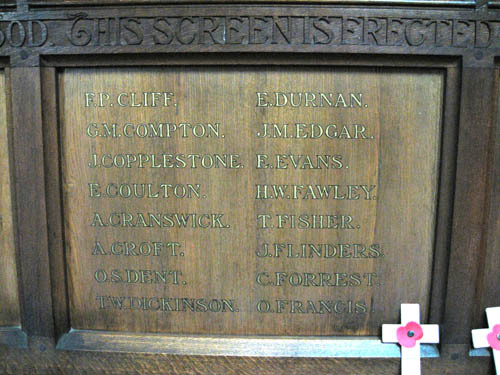 Their names were inscribed on the bottom panels of the screen'. 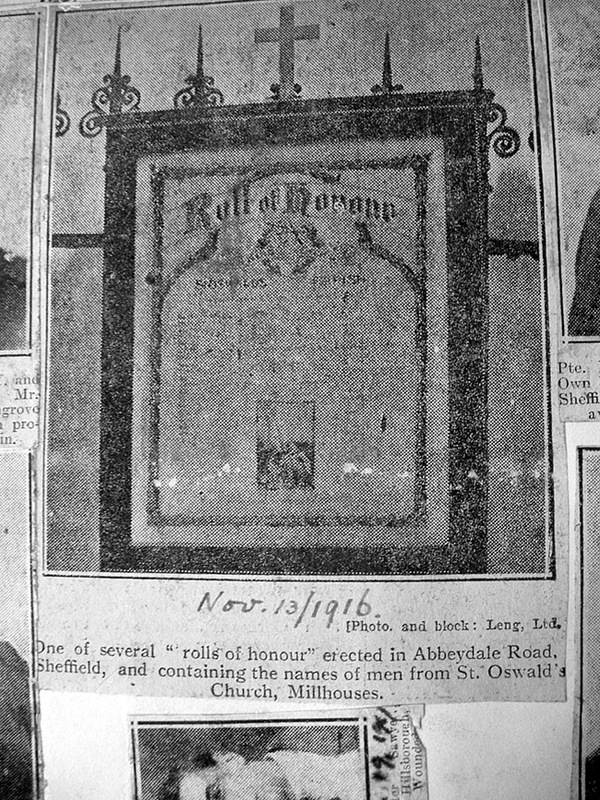 This newspaper clipping from 1916 shows a Roll of Honour we have not seen, does it still exist? 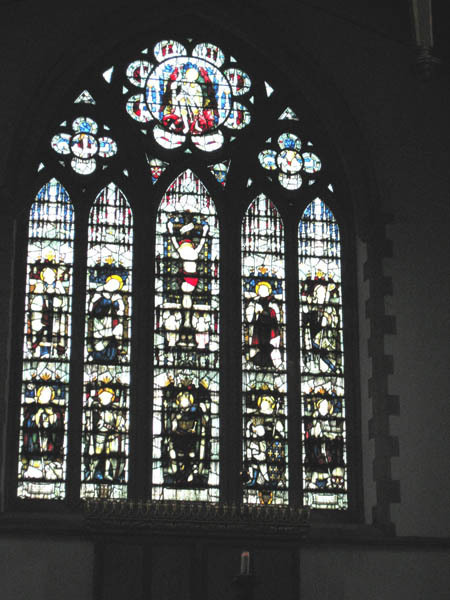 Please let us know if you have any information.